We’ve delved deep into the secrets of keeping your gadgets charged on the go and now its time to share some of the magic. 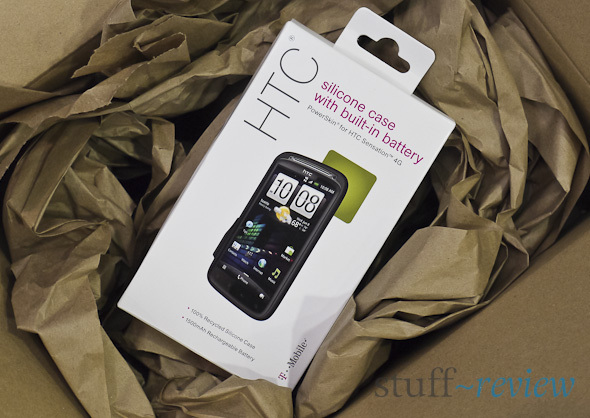 We’re giving away one of our review units, a PowerSkin case with built-in battery for the HTC Sensation, retail price around $50. Rules and how to enter after the break. post a comment, any comment, on this page. No other strings attached. The contest is open to anyone worldwide, 18 years or older. Tweeting and posting a comment gives you two chances to win. Tweet must be from an active Twitter account and a comment must have a valid email address (which will not be published). …congratulations to Swishbam who will be getting a PowerSkin case in the post soon. Thanks to everyone for joining our competition.